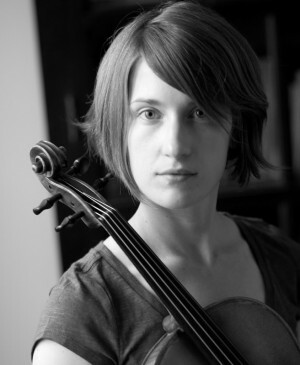 A Midwestern transplant to New York City, Erin Wight is an active chamber musician and avid performer of new music. Described by The New York Times as “engrossing” and “surehanded,” she performs frequently as a member of the Red Light New Music Ensemble and has played with the New Juilliard Ensemble, Axiom, the Juilliard Electric Ensemble, Talea, Signal, and FiRE. She has worked closely with members of the Ensemble Modern and Ensemble Intercontemporain. In addition, Erin is a founding member of the Toomai String Quintet, 2007 winners of the 92nd St. Y’s Music Unlocked! competition for emerging ensembles dedicated to educational outreach. She is deeply committed to community engagement and is on the teaching artist faculty of the New York Philharmonic’s School Partnership Program, Chamber Music Society of Lincoln Center, and the Weill Institute at Carnegie Hall. She completed her Master of Music degree at The Juilliard School where she studied with Paul Neubauer.